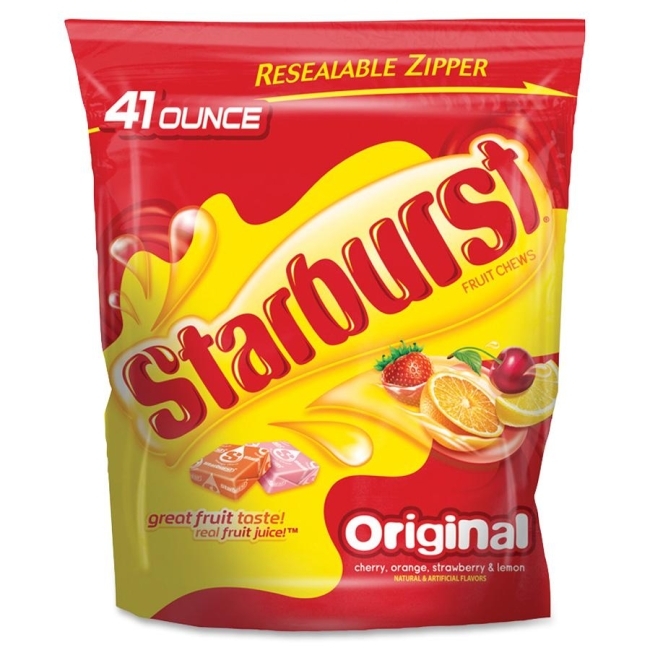 Starburst fruit chews are great-tasting juicy classics that everyone loves to enjoy. Just pop one of the strawberry, cheery, orange or lemon chewy candies into your mouth and unleash the juiciness. Great for the breakroom or reception areas. Each Starburst candy is individually wrapped. Bag features a resealable zipper to keep the Starburst fresh and ready.